As you are no doubt fully aware, 2014 is a mammoth year for Scotland, with the Commonwealth Games in Glasgow, the Ryder Cup in Gleneagles, and of course, the Independence Referendum to be held in September. In this blog post, Account Manager Graeme Geddes, takes a look at how social media might play a role in the run-up to the referendum and how effectively both camps are using social media. The indy referendum, as many are calling it, will be, no matter the result, a pivotal moment not just in Scotland’s history, and not even just Britain’s history, but across the world. The ramifications of the result will be felt far and wide, with the likes of the Catalans watching closely as they continue their campaign for independence from Spain. With so much riding on the vote and with the whole world watching to see its outcome, it’s no surprise that both camps, Yes Scotland and Better Together, are using every means possible to broadcast and justify their position. As you all know, a substantial part of what we do at fatBuzz involves social media so it would be folly for us not to look at the social media campaigns being undertaken by both camps, and how big a role social media can play in the run-up to the big day - especially with the vote open to 16 and 17 year olds. As we say to all our clients, social media isn’t a substitute for ‘traditional’ marketing, it’s an addition to it - and both Yes Scotland and Better Together are using offline mediums to portray their messages as well as online and broadcast. A while ago I came across a discussion on the BBC News website between Joe Twyman, director of political and social research at Yougov, and Dr Mark Shephard from the University of Strathclyde. In the discussion both men gave their opinion on the role social media will play in the vote. From the outset of the discussion Twyman gives the opinion that the idea of social media playing a big role in the vote is “overplayed”. He believes the Yes Scotland campaign is the more active of the two camps via social media but is then quick to state that they’re behind in the polls, suggesting it’s having little impact on the campaign. He also adds that if you were to ask people where they get their information on politics and public affairs they say the likes of “television, radio, newspapers, and social media falls some way behind that”, but does concede that it’s good for mobilising people. However, Dr Shephard isn’t so quick to dismiss the power of social media, citing an incident during the Irish presidential election where a tweet during a television debate arguably cost a candidate. He then continued to say that through reading the BBC’s Have Your Say’s discussion threads he’s found individuals who’ve said “they are being affected by the material they are reading” suggesting there’s room for social media in the vote. But let’s not take their word for it, let’s look at the respective Facebook and Twitter accounts for both camps. 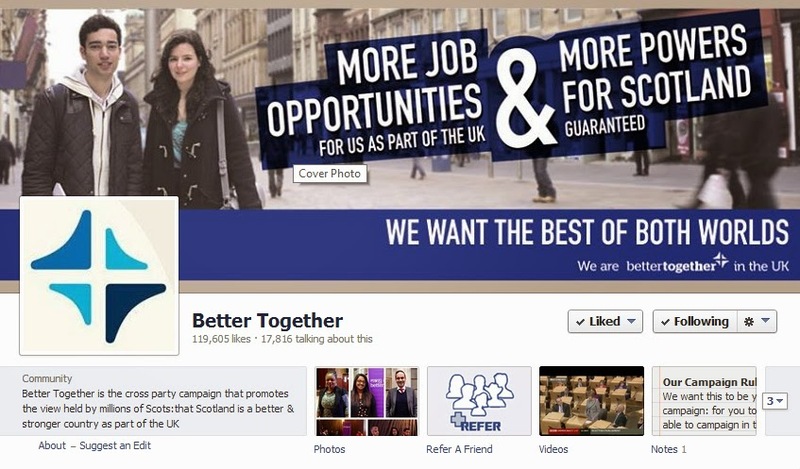 At time of writing Yes Scotland had a larger social community than that of Better Together with 149,435 Facebook likes as opposed to 119,597. And this is a trend that continued over on Twitter too with Yes Scotland amassing 40,737 followers, way more followers than its counterparts who had 22,397 followers. It would be naive to think that an evaluation on this topic can be done just by looking at the figures which I’ve touched upon, but it’s a good starting point. From contacting those behind both respective online campaigns it’s clear the school of thought is social media’s here to stay in politics, and that it’s seen as a powerful and influential medium. “Social media is another powerful way of getting information to undecided voters. This is not restricted to just the new 16&17 year olds who will be voting in September - or indeed younger voters more generally. 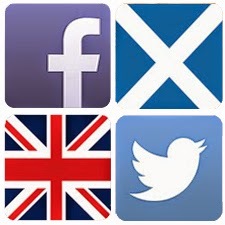 With the number of accounts of Facebook, Twitter, Linkedin and so on registered in Scotland, it is clear that a proper social media strategy will enable you to speak to people of all ages. 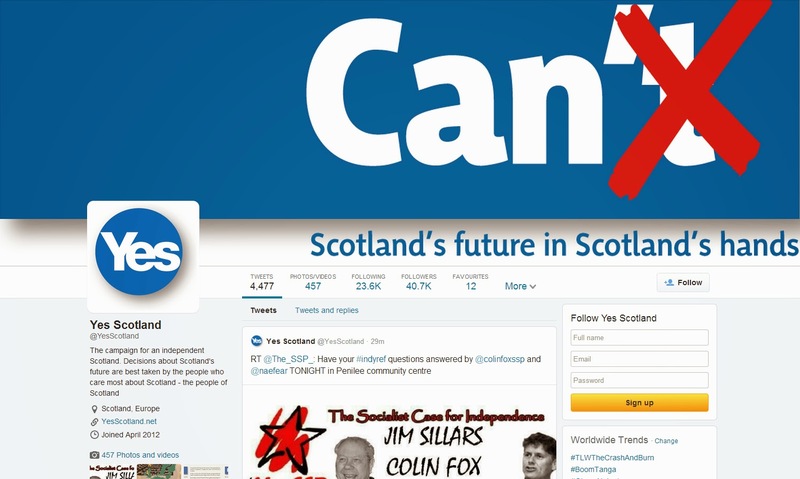 “As we take Yes Scotland's positive independence message to each and every household, community and organisation in Scotland, social media will continue to play a pivotal role in what is the largest grass roots movement Scotland has ever seen. “There is a wealth of information on the benefits of a Yes vote on our website and we welcome online interactions from those wanting to learn more about independence. It’s clear to see, from both sides of the argument, that there’s a real belief that social media harnesses the potential to be very powerful and useful, not only for this vote, but for many elections to come. It’s worth bearing in mind that whether we want it or not social media WILL play a part in this vote. Why? Because those in charge want it to be and unless they suddenly shut their social media accounts down that’s how it’ll stay. One observation I’ve made is that both camps seem to focus on the other. They seem to want to be negative about their opponent rather than positive about themselves, but no one really wants to read negative status updates on their timeline, that’s not really what social media’s all about. Perhaps if there were a change in the way these groups used social media they’d see a difference in their numbers and engagement. Let’s not forget that this isn’t the first time social media has been present during a political vote. Remember Barack Obama’s first Presidential election campaign? Back in 2008 Obama embarked upon on his journey to the White House which saw him beat John McCain in the process, and a large part of that journey involved making great use of social media. It was seen as the first ‘social campaign’. Obama identified that many young voters were disinterested in politics, and targeted social platforms such as YouTube, Facebook, and even running an advert in a computer game as a means to connect with them. Using this strategy saw a larger turnout amongst young Americans and is seen as a massive factor in his victory. But let’s look at politics on a wider scale and not just elections, social media is and will continue to be influential. Most MPs and MSPs have Twitter accounts and the likes of Newsnight, Politics Now and even Prime Ministers Questions have hashtags all aimed at encouraging engagement and broadcasting thoughts and opinions via social media. If you ask me, social media WILL play a part in the indy vote, I just don’t know how big a role it’ll play. One thing’s for sure I’ll be hashtagging and tweeting come the 18th of September! What do you think? Do you agree with me, or is social media just not up to the job of playing a part in the biggest day in modern Scotland? I’d love to hear your opinion, get in touch with me and tell me at graeme@fatbuzz.com.